In June 2017, I was a speaker at Unite Europe 2017, the official conference for the game engine Unity3D. I gave some insight into AirConsole's past, present and future. 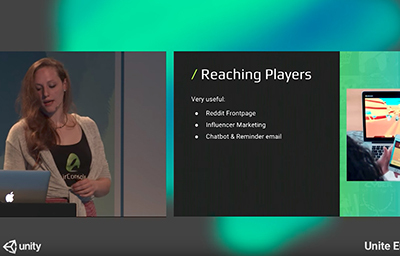 I talked about what we have done to improve our product, to reach developers and to reach players and why Unity WebGL was incredibly important for us along the way. 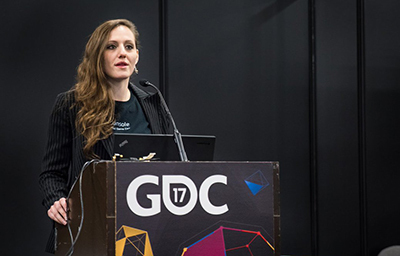 As part of GDC 2017, AirConsole was invited to participate in the GDC Pitch, where I gave a brief overview of our company, its achievements and its potential. In the short pitch presentation, I focussed on AirConsole's role in reinventing and revitalizing the genre of Local Multiplayer gaming. 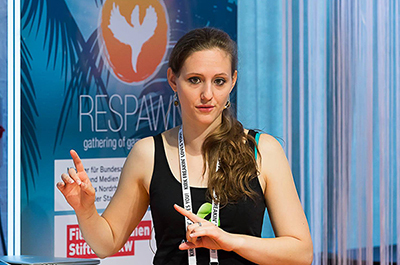 In late 2016, I was invited to give a presentation at the Intel Buzz Workshop Berlin, a one day game dev event hosted by BoosterSpace Berlin. Like at Respawn 2016, I talked about the potential and challenges of smartphone controllers in local multiplayer games. 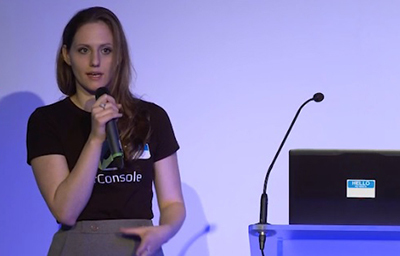 At the 2016 edition of Respawn - Gathering of Game Developers, I held a talk on the subject of using smartphones for controllers in local multiplayer games - this is a subject matter I am confronted with every day in my work for AirConsole. The talk focussed on the advantages and disadvantages that smartphones have compared to regular gamepads, and explained how clever game design can embrace and work around the challenges they present.